Kitty House Farm is situated in one of the most beautiful areas of the Lake District. The local area is particularly picturesque and makes an excellent base for exploring the Lake District, the Yorkshire Dales and the Scottish Borders. There are numerous activities and places to visit in the area. Please find below more information on the local area. Our cottages are located in Troutbeck, which lies between Penrith and Keswick just off the A66. We are therefore easily accessible and yet offering peace and tranquility amidst some stunning Lake District scenery. The nearest pub is just a walk away, the renown Troutbeck Inn, which serves excellent food and a fine selection of ales and wine. 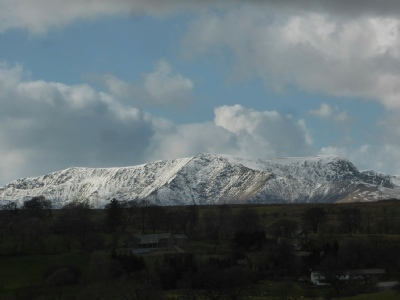 Blencathra, also known as Saddleback, is our closest large fell and can be seen from the gardens. It’s majestic peak is accessible from various routes, including along the famous Sharp Edge. You can also access Skiddaw nearby, as well as the Eastern Fells around Ullswater, including Helvellyn. The cottages are just 5 miles from the shore of England’s most beautiful Lake, Ullswater. The wonderful Ullswater Steamers sail all year round from Glenridding to Howtown and Pooley Bridge. 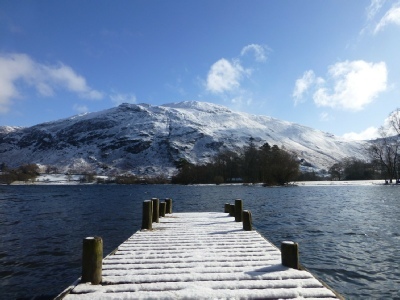 Glenridding is also home to the Glenridding Sailing Centre, which provides a base for many of the water borne activities on Ullswater. You can also visit the National Trust waterfall at Aira Force and the villages of Pooley Bridge, Glenridding and Patterdale. Keswick is just 10 miles away and offers a good range of shops, bars and restaurants as well as Booths local supermarket. Penrith is also 10 miles away and is the local market town and has a wide range of shops and supermarkets. Ambleside, Windermere, Grasmere and Cockermouth are all within an hours drive of Kitty House Farm, making it an ideal base to explore the whole of The Lake District. You can also visit the beautiful Solway coast of Cumbria.